A limousine is a brilliant vehicle to have on pretty much every notable occasion in your life. Whether it’s a prom night, a wedding or something less glamorous like an airport transfer, limo hire services can always make it more notable. But there is something particularly special about limos and anniversaries. Maybe it lies with the fact that anniversaries are meant to be celebrated and cherished so much. They signify that the bond between you and your significant other is strong and has stood the test of time. Nothing makes it quite as memorable as a fancy limousine: a type of vehicle that too has endured over the years. It is a great surprise – sure, an anniversary calls for an exceptional gift, especially when it marks a big milestone. No matter what you decide to buy, a limousine will compliment it perfectly. It can even substitute a gift because it is that great of a surprise. Most people don’t ever expect a limousine ride, despite the fact these services have gained much popularity. You can bet that your significant other will be superbly impressed as the vehicle pulls up at the front door. Worry not about the theme of your event, because limousines are versatile enough to fit any schedule or program. Whether you are set to go to your favourite restaurant for a romantic meal, or you will go to the movies is irrelevant: the limousine will be there to comfort you and contribute to your wellbeing all the same. 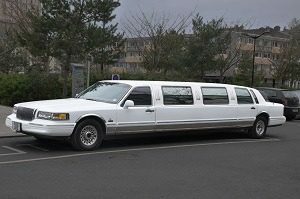 Limousine rides give you more time for each other – while there is nothing bad about driving yourselves to a venue to mark your anniversary, it just might not be all that convenient. There may be no parking space, and one of you will need to assume the role of a designated driver, which means no glass of champagne to mark the special occasion. None of that is an issue when you are out with a limo. You can let the driver focus on the road and everything else traffic-related, while the two of you spend some quality time together. After all, that is what anniversaries are for, aren’t they? It shows you care about your partner – nobody hires a limousine for just about anyone. By doing this for your partner, you show them that you care. Such generous gesture is going to mean a lot to the one you love. While gifts are more or less expected, a limo ride is something new and exciting. Such a service is most fitting for a special occasion that is the anniversary. As you can see, limo hire is a truly wonderful service, which has the potential to make your anniversary unique. Don’t hesitate to pick a limousine and get it for the event, as it will make a world of difference.